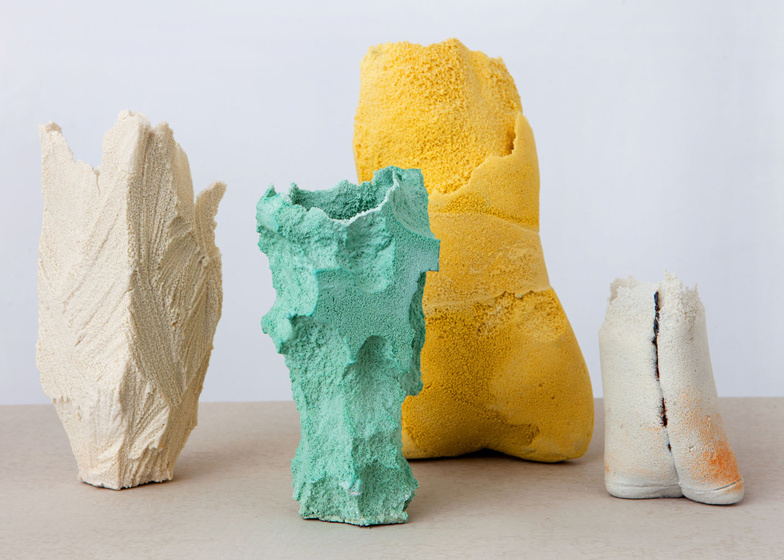 Israeli ceramicist Michal Fargo produces these vases by ripping blocks of spongy foam into rough shapes before dipping them in porcelain and firing them (+ slideshow). 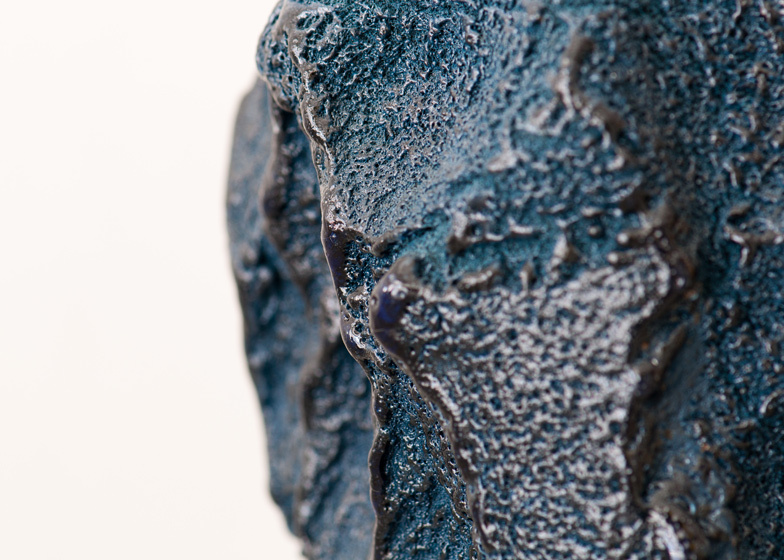 Michal Fargo developed the unusual technique used to make her Else collection as a way of avoiding parting lines and pouring points that determine the conventional ceramic casting process. "The idea was to create different surfaces in ceramics, to find something interesting and diverse and in some ways more authentic," said Fargo in a video about the project. 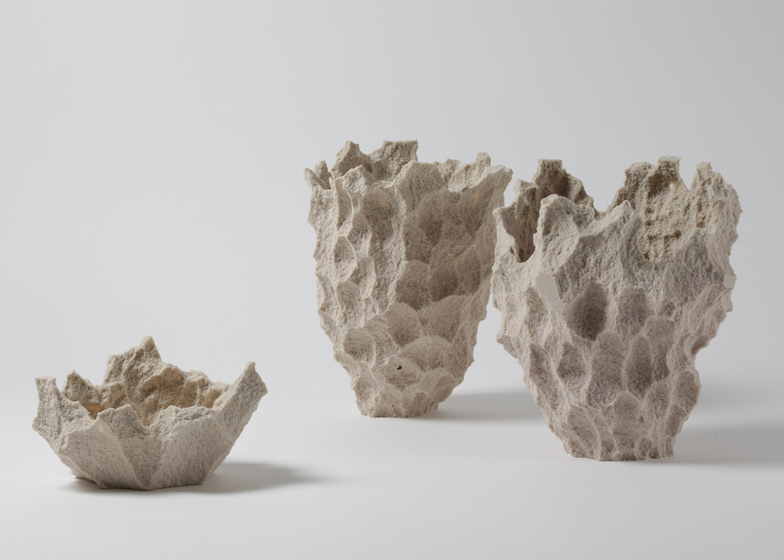 The Rock vases, which form part of the Naturelike collection developed for Spanish limited edition brand PCM, are made by tearing chunks from foam blocks until they take on the shape of vessels with a random natural appearance on their internal and external surfaces. 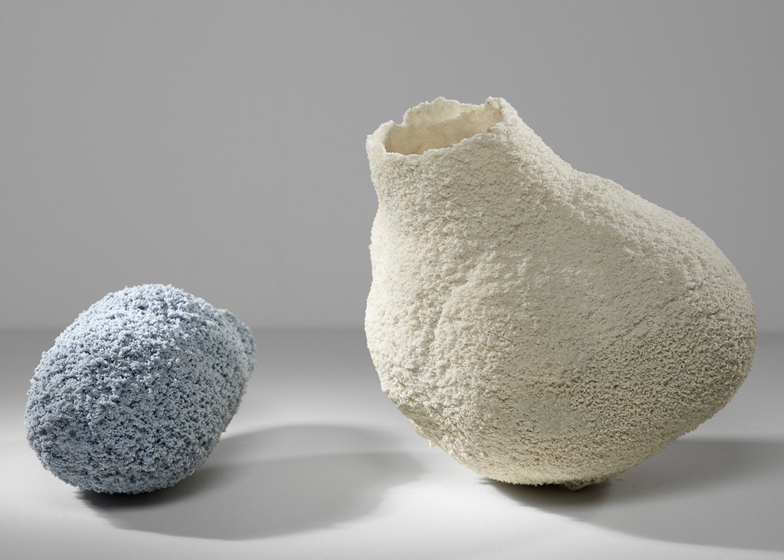 After dipping them in liquid porcelain with a coloured stain, the vases are fired in an outdoor kiln to harden the material while retaining the porous surface detail of the foam. Foam shapes used to create the Else collection. Photograph by Sasha Flit. "I was really bored with mould-making and having all these clear, smooth surfaces so I started sculpting in sponge and then just dipping it and firing it," explained Fargo. "Afterwards I started trying to do some other things like casting into sponge blocks." 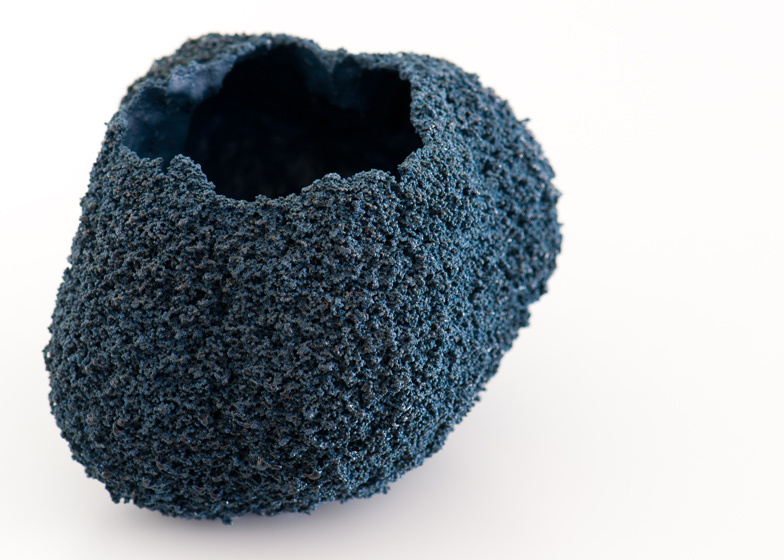 Other pieces in the Naturelike collection are produced using rubber moulds cast inside rough foam shapes. 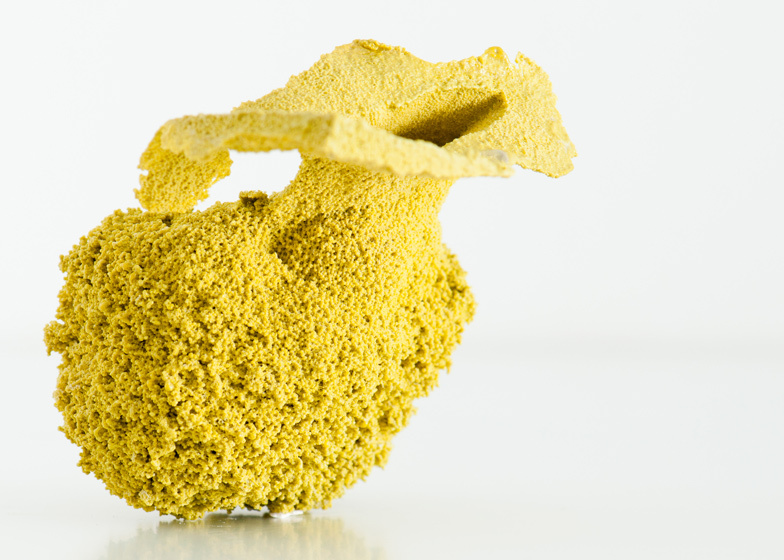 Resin poured into the moulds preserves the bubbly texture of the foam as it sets. 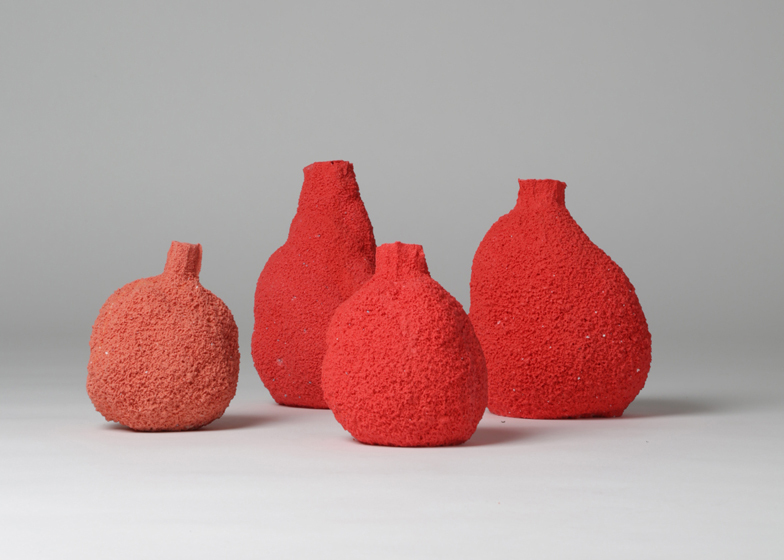 The resin is coloured to give the Coral vases their distinct bright-red hue, and the Moss pieces their subtle green shade. As well as her hands, Fargo uses a small saw and a Japanese knife to carve out organic shapes with different textural surfaces. 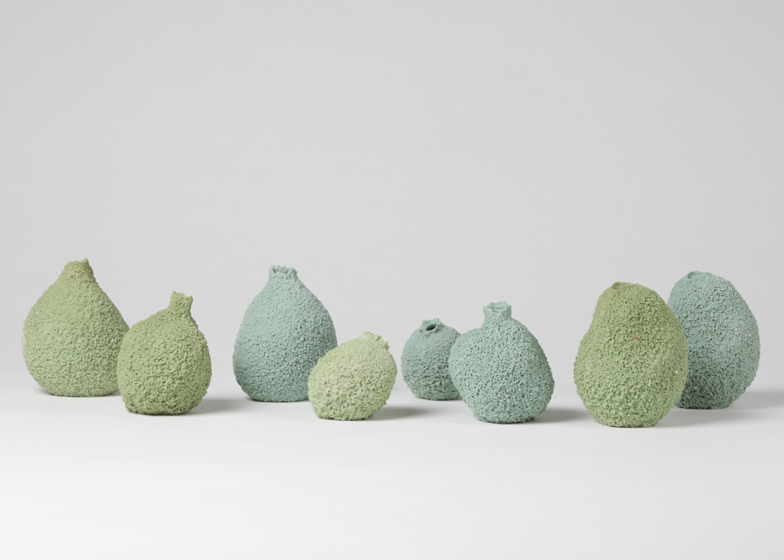 The Rock vases and centrepiece bowl have been produced as one-offs as the foam shapes used to create them are destroyed during the firing process, while the Coral and Moss designs are made in limited editions. Fargo originally created the Else series while studying ceramics at the Bezalel Academy of Arts and Design in Jerusalem. The vases were presented by PCM at the Maison&Objet design fair near Paris last month. Photography is by Mel Bergman, except where stated otherwise.